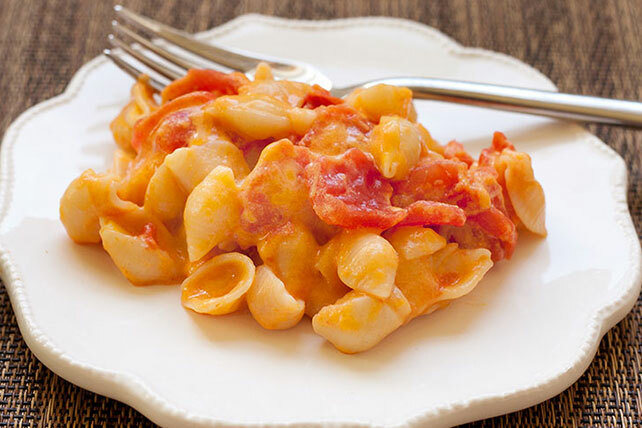 What do you get when you add cheddar, tomatoes and garlic powder to VELVEETA Shells & Cheese Dinner? Deliciousness. You get deliciousness. Prepare Dinner according to package directions. Stir in tomatoes, cheese and garlic powder; cook until heated through, stirring occasionally. Substitute 1 chopped medium tomato for the canned diced tomatoes.